It’s almost time to decorate your home and Christmas tree. You pull out your ornaments and lights to find a massively tangled mess. I have been there a time or two, and let me say it isn’t fun spending hours attacking the chaos. I have some holiday light storage ideas to keep you from ever having to deal with it ever again! 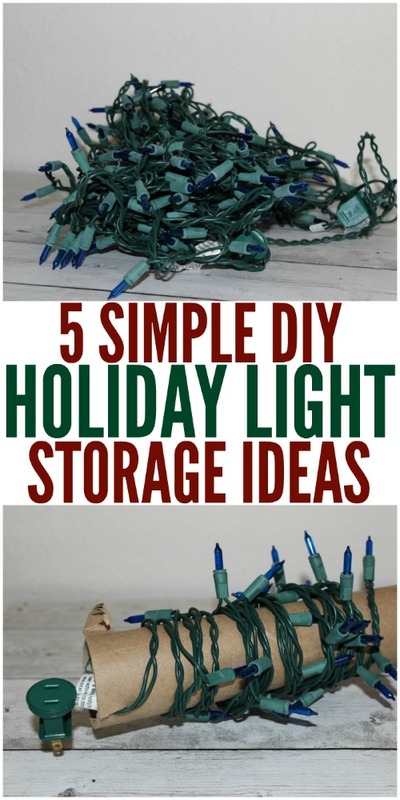 These holiday light storage ideas are so affordable and don’t require much to get the job done! I am all for repurposing items around the home that will benefit me in a new way. With a little bit of effort when you go to pack your lights up at the end of the season, you will be pleasantly surprised next year. It will save you so much time, and you will have orderly strings of holiday lights ready to be used to decorate your home. 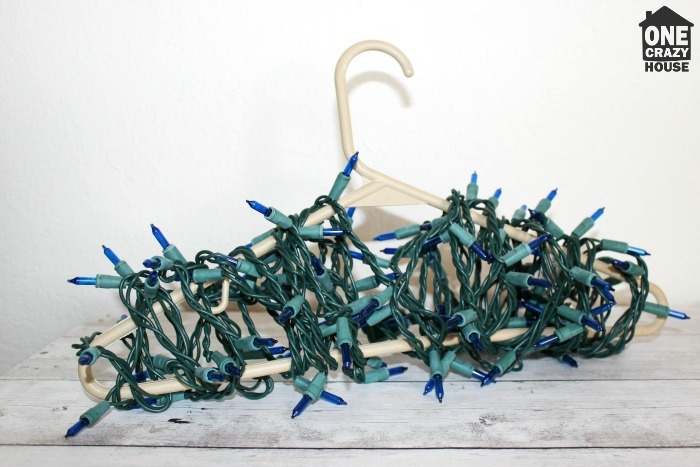 I know this might sound weird, but a plastic hanger is a perfect tool for storing your holiday lights. It is slim and compact and you simply wrap your lights around the outside of the hanger for a clean solution. You can easily tuck this inside your container with all your other Christmas decorations and will be amazed at how little room it takes up. I always put the lights in last, so they sit on top of everything and have less chance of breaking. This one takes a bit of time but does work well. Simply hold the start of your lights in your hand and neatly place the lights going back and forth and holding it tight with your hand. Do this until you are at the end of the strand, and then secure with rubber bands. This one is a huge space saver and works great. Just make sure your rubber band is nice and secure. If you are like me and shop on Amazon a little too much you probably have a few boxes laying around. 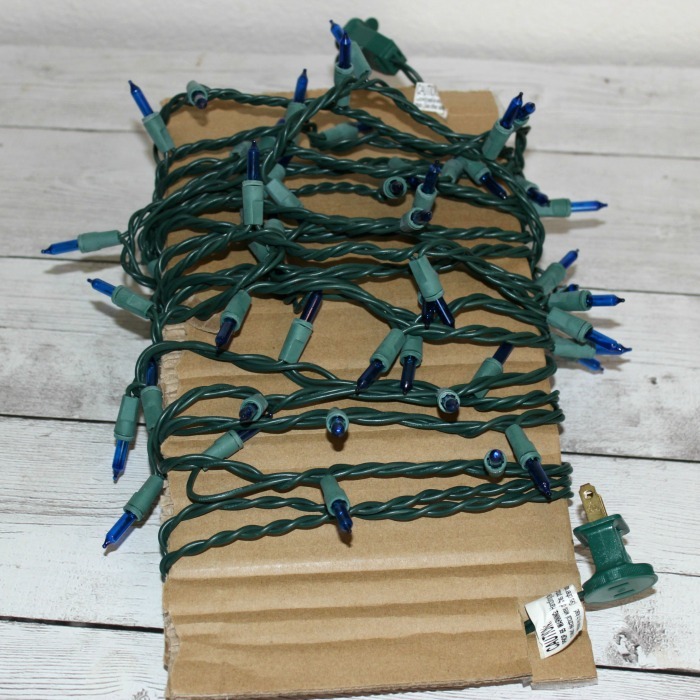 Simply cut out a piece of the cardboard and use this as the base and wrap your lights around the cardboard. 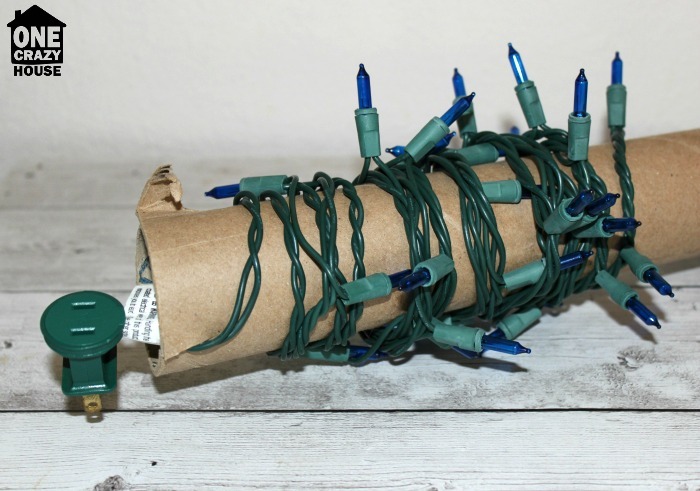 I like to do 1-2 strings of holidays lights per piece of cardboard. You can cut the cardboard to any size you want to fit your storage space needs. Another cheap option for storing holiday lights is to place them in plastic zipper bags. Wrap a strand of lights around your arm and then transfer them into the plastic bag. I put small zip ties around a few places on the lights so that they won’t become unwrapped over time when they get moved. Make sure to label what the lights are and where they go. 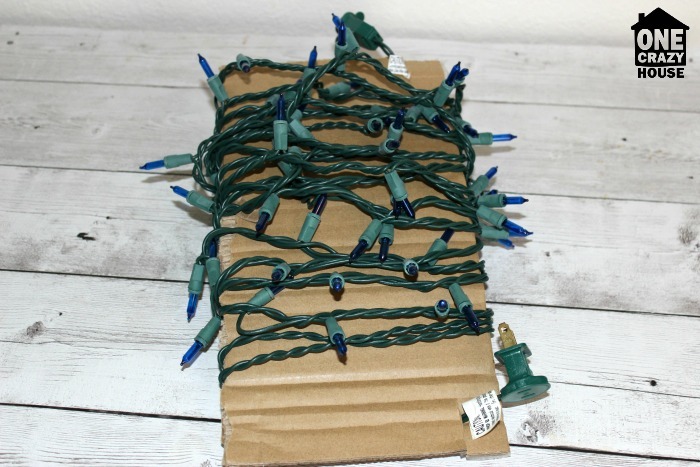 If you have a smaller set of holiday lights, you can cut a slit on one end of the paper towel roll to secure the string on, and then wrap it around the paper towel roll. This works really well for smaller sets of lights, as bigger ones can become a bit bulky. 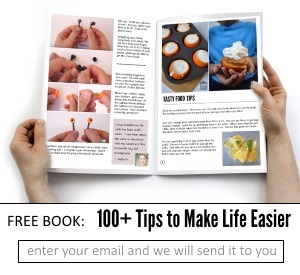 As you can see these are super easy to do and don’t cost much at all. If you are still feeling like you could use a few more fun tips, check out these holiday light tips! Make the holidays about fun and not stress from decorating.